Let's face it girls, we've all been there….When Thirsty Thursday starts with the famous last words of "I'll just stay for one drink - I have an early start tomorrow." Fast forward three hours and you’re dancing on the tables shouting "YOLO!” Unfortunately, reality hits when you wake up in last night’s clothes your heart suddenly sinks before shooting out of bed. At this point girls, it's time to fake it till we make it. You got this, and it’s nothing that a bit of clever makeup won’t hide. Follow my top tips below to hide that hangover! Give your skin a drink! Quench your skin’s thirst with our Triple Performing Moisturiser. When drinking alcohol our skin can become very dehydrated, so you’ll need to nourish the skin with an oil free emulsion. It helps to capture, maintain and develop water reserves within the skin. Your skin will look so radiant you will need a dimmer switch! Time to banish those bags. Our It's Potent! 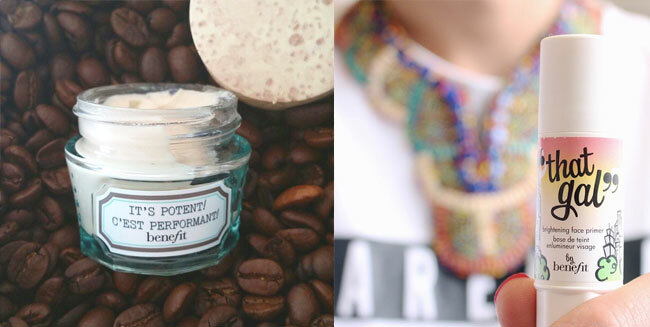 eye cream fades dark circles & helps smooth fine lines for brighter, younger-looking eyes. It also contains a peptide complex known to help restore elasticity and firmness, plus a blend of hydrating botanical extracts and loquat extract, known to help protect the skin from free radical damage. If those words seem all too much to digest on a hangover, then all you need to know is that it is the perfect pick me up for your eyes! Give your skin an overall healthy finish, with a brightening primer called That Gal. This beauty gem contains raspberry & camomile extracts to sooth the skin, whilst the light-reflecting pigments within the formula help to softly brighten your complexion. Even out your complexion with Hello Flawless Oxygen Wow foundation, this oil-free brightening liquid foundation with an SPF 25+++ protection, builds from a light to medium coverage for a natural look, leaving you with a luminous and healthy looking complexion. Too little sleep? Take action with Fake Up! This hydrating, long lasting crease-control concealer with Vitamin E & apple seed extract hides dark circles & diffuses fine lines under eyes. Eight hours sleep in seconds! Opt for a colour that won't budge! Benefit’s Benetint Lip and Cheek Stain are perfect for a lazy day, injecting the lips and cheeks with colour, they have maximum staying power that will not smudge or budge, so no need to keep re-applying... Phew! Achieve great brows in a flash! 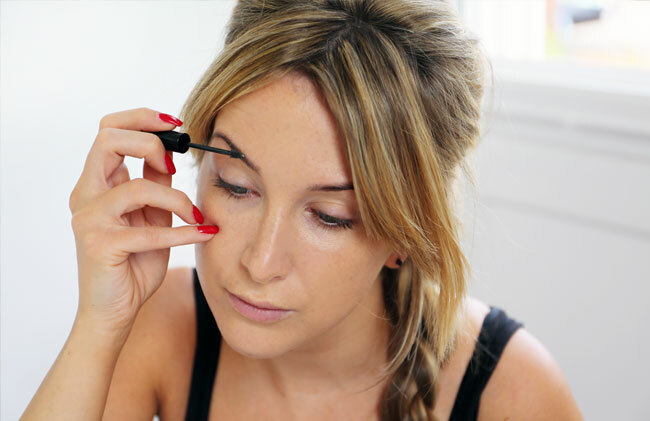 Brow styling doesn't get easier than with Gimme Brow. This coloured micro fibre gel comes in two shades, light/medium & medium/deep. Not only does it help define with colour, but the micro fibres build dimension, giving a natural fuller looking brow with a stroke of a wand. Easy! Give your eyes that wide eyed look with skyscraper lashes. They're Real mascara lengthens, curls, volumizes, lifts and separates in just a stroke of the wand. It’s perfect when you really don't have energy to do your makeup. It also has a long-wearing formula to help prevent smudging around the eyes. Apply by positioning wand horizontally & wiggle brush from side to side base to tip, to achieve maximum volume, length & lift. Hold wand vertically & stroke upwards to curl & separate. Head to Pinterest to check out our amazing #UNiDAYSXBenefit Hacks giveaway! Simply tweet us your fave beauty hacks to be in with the chance of winning 1 of 3 Benefit Hampers!